Lithuanian PM Saulius Skvernelis says he will consider moving embassy from Tel Aviv to Israel's capital if he becomes president. Center-right Prime Minister Saulius Skvernelis said Tuesday he would consider moving Lithuania's embassy in Israel from Tel Aviv to the disputed city of Jerusalem, should he win May's presidential elections. 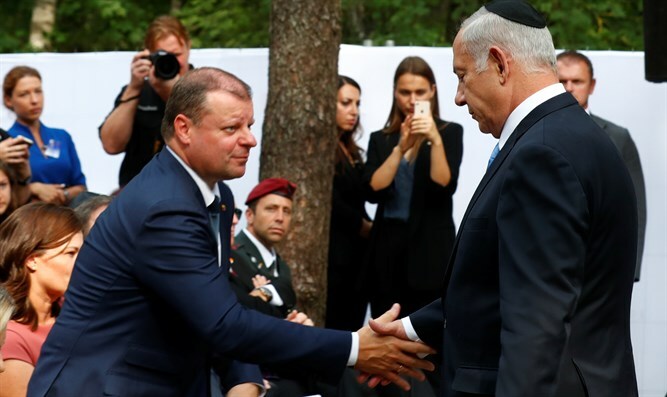 Skvernelis insisted on Tuesday that his nation "must not be afraid to differ from neighboring states", saying cultural and security links made Israel one of Lithuania's closest allies. Outgoing president Dalia Grybauskaite, who after two consecutive terms is not running for re-election, "would not comment on election programs", her spokeswoman said.